Back in March I was the queen in the Modern Stitching Bee. I asked to be goosed...no not that kind of goose. I wanted flying geese blocks in red, yellow and aqua on a grey background; any color grey. I gave my group free reign to make any size block and any formation of geese. I sewed them all together in rows (except Rhonda's big block. That will be make into a matching pillow). There were mostly 12-1/2" blocks. But there were also many other sizes that I sewed together, adding more grey background fabric to bring the blocks up to size to fit into rows. I quilted it with wavy lines mixed with leaves. I am really enjoying this free-motion quilting thing now that I finally found a thread that works well in my machine. I backed it with the astericks print from the Comma line. It's a perfect compliment to the quilt. I used the houndtooth check in black to bind it making a nice frame and following the "always add a touch a black to your quilts" rule. So here is my Modern Geese quilt. Thanks to my bee mates Rhonda, Leanne, Emily, Nicky, Chrissy, Cindy, Jennie, Susan, Sarah, Susan for making this quilt so special. 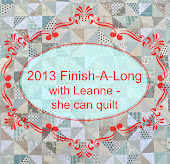 I am linking this to the Finish-A-Long with Leanne. It is the only thing on my list of three that I actually finished. 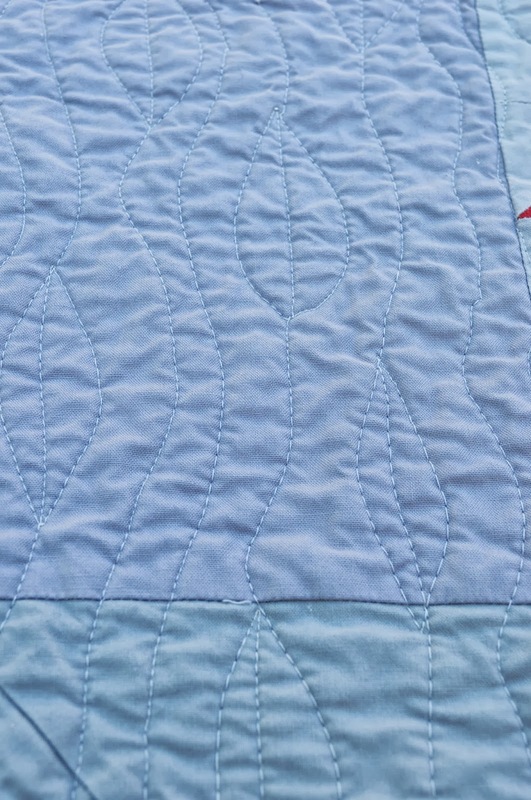 It's a great finish and I know you already know this, but I love the quilting. It looks so.....cohesive! Brilliant finish. I can't believe I missed the 'grey background' instruction!!! Thankfully the red blends in and doesn't 'stand out like a sore toe' (as we say here....) The quilting looks amazing! You have got really, really good at the quilting part! Great job and I'm proud to be a small part of it! This turned out so pretty and I love that FMQ design! So Pretty! 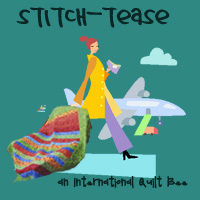 Fantastic Di - Had to laugh at Patchwork and Play - that would be me!! It is wonderful, I just love it! It is so fun to see bee quilts with blocks I made in them. I also love your quilting and will put this on my list to try sometime soon, the leaves really work so well with the wavy lines. I've loved seeing your pics for this throughout the process. It's such an amazing quilt. And your FMQ is awesome! I'm still struggling. 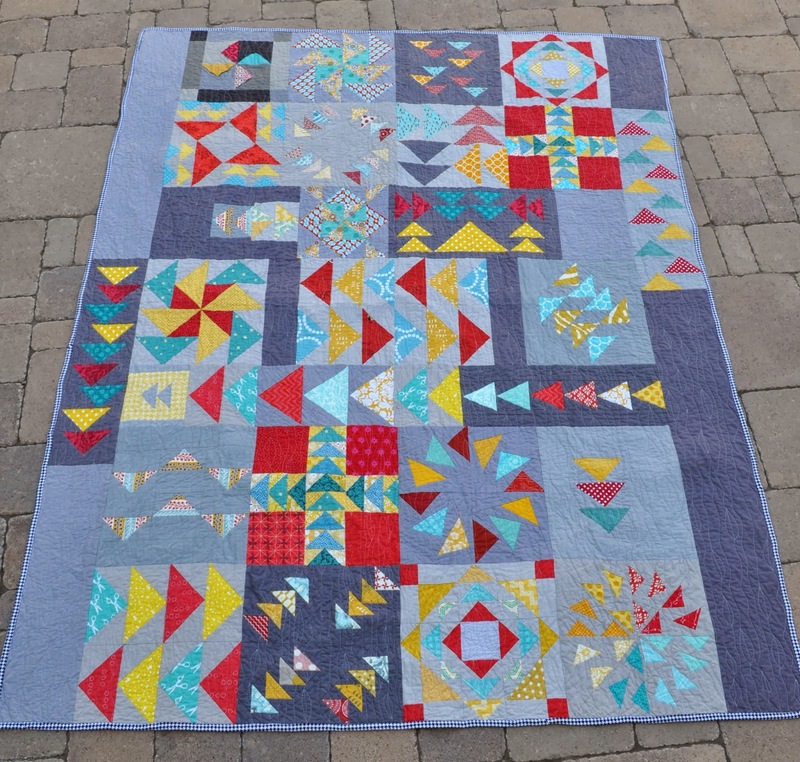 That’s a wonderful finish and the quilting is lovely! I confess to not getting the black rule but the binding does look perfect so perhaps I need to think about that. 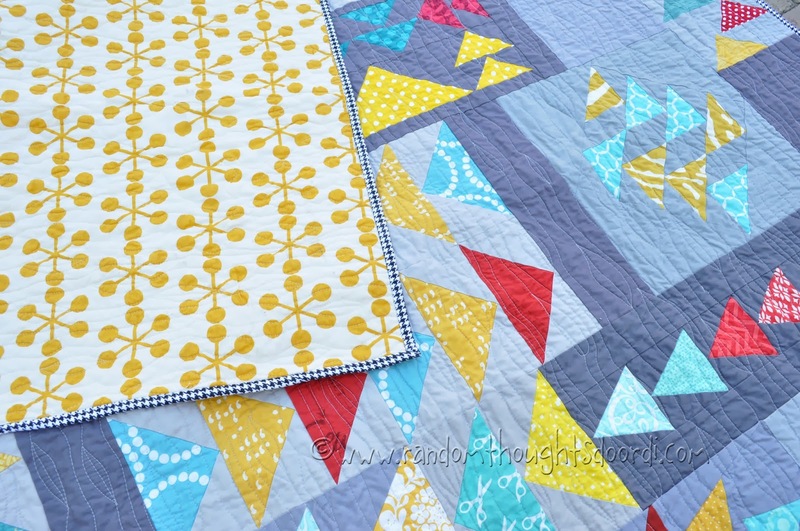 The quilt is stunning and the darker patches of grey make it so modern and fresh. What an outstanding finish. I've been wondering how you were going to pull all the different sized blocks together. It looks fabulous! You are doing a great job with your FMQ. Explain the "always add a touch a black to your quilts" rule. I must have missed one of your posts if you've explained it. Your quilt is lovely! 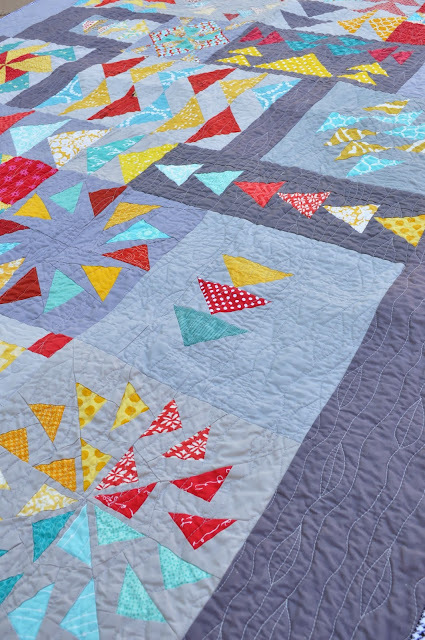 It looks fabulous, and love the quilting! BUT what a finish! Love it. What a beautiful quilt! I love flying geese and your colour palette is great.